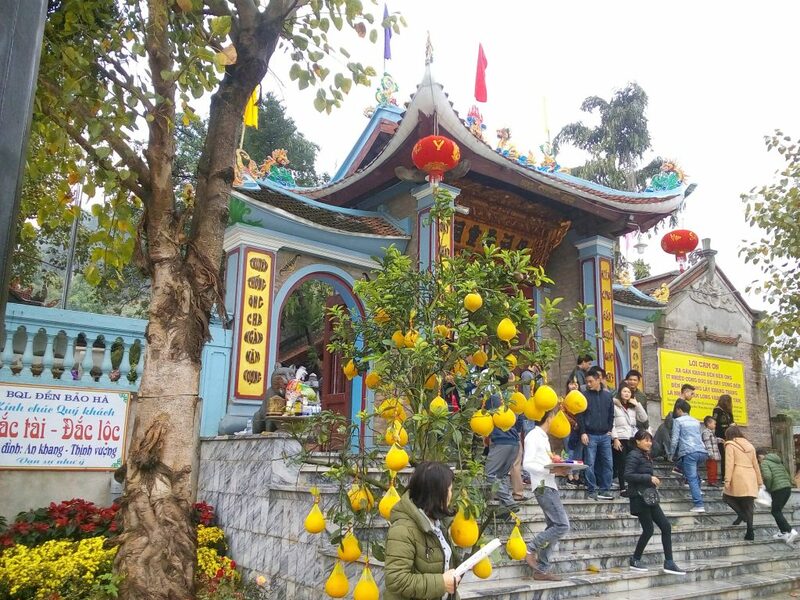 Bao Ha Temple in Lao Cai – a beautiful place of Vietnam in festival, temple stands at the foot of Cam Hill, overlooking the Red River full of alluvium. 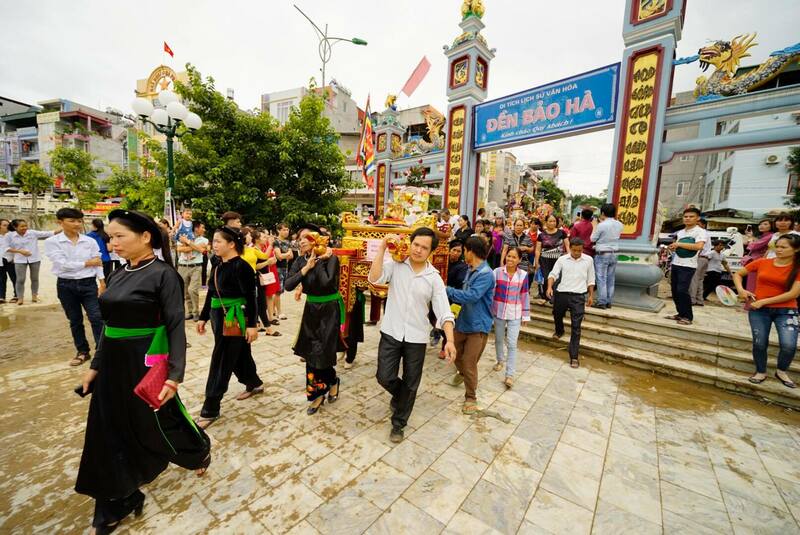 On the 7th day of the 7th month of every lunar year, a traditional festival is organized at Bao Ha Temple in Lao Cai to commemorate the daring exploits of Hoang Bay, the God who defended the country from foreign enemies. 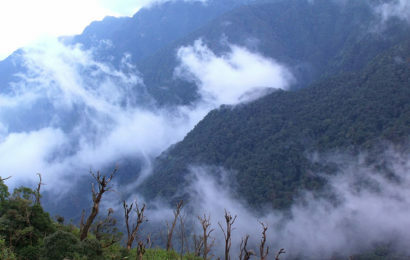 Bao Ha Temple stands at the foot of Cam Hill, overlooking the Red River full of alluvium. 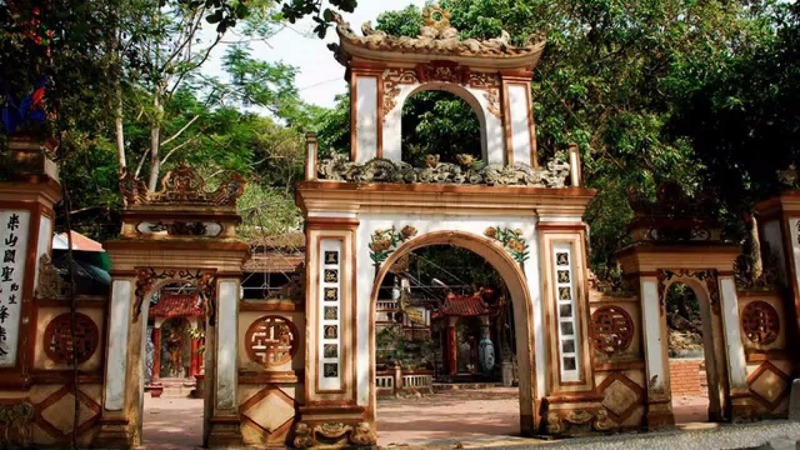 Because of its picturesque scenery, the temple has been frequently visited by travelers and pilgrims for many years. 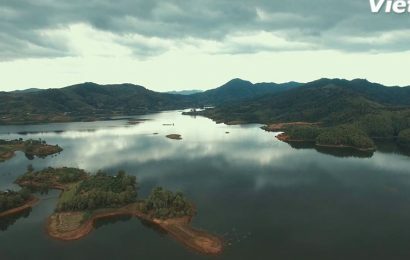 According to the local tales, at the end of the Le dynasty (from 1740 to 1786), the two wards called Thuy Vi and Van Ban in Quy Hoa district always face the danger of enemies’ attacks. 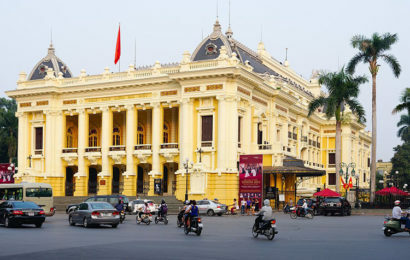 To tackle the problem, the king sent Nguyen Hoang Bay, the seventh general, to that region to maintain peace. During an unbalanced match, he passed away. The villagers then built the Temple to worship and commemorate the kind-hearted general. The festival always starts in early morning. It is divided into two parts: worshiping and celebrating. The head of the village, usually the most respected man, pray on behalf of every member of the community; he reminds the villagers of the reason why the can now enjoy a peaceful life. 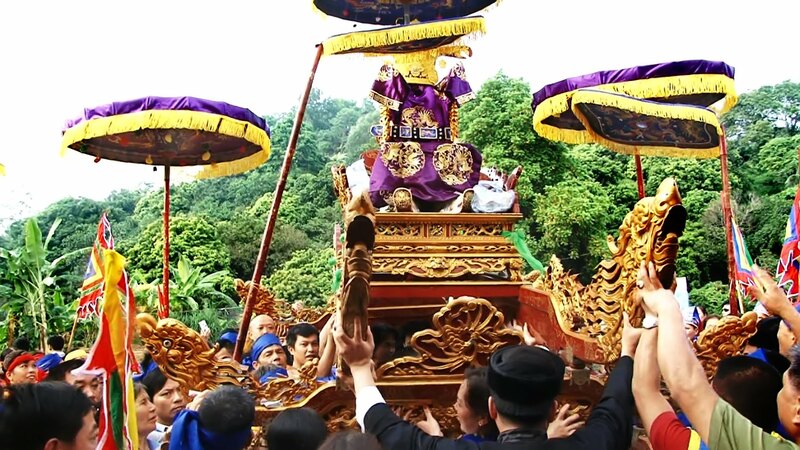 During the worshiping process, people wish for good health, wealth and a lucky year. The young kids wish for better performance in their academic life, and the elderly wish for a bountiful harvest. After finishing the long procession, gifts and foods from the families are shared to each member of the village and the visitors. People start celebrating: they dance, sing, playing games or simply enjoy the once-a-year festival. 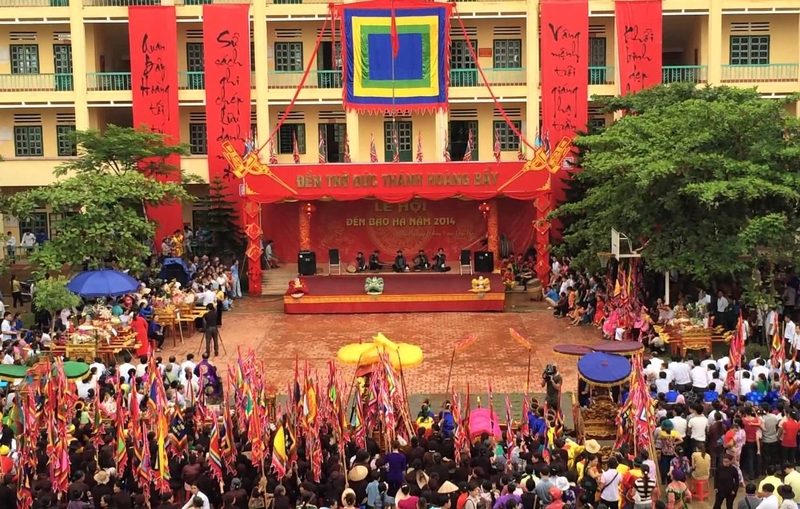 Even though the festival is by no means gorgeous or luxurious, it reflects the deeply-rooted traditions of a Vietnam’s northeastern community. 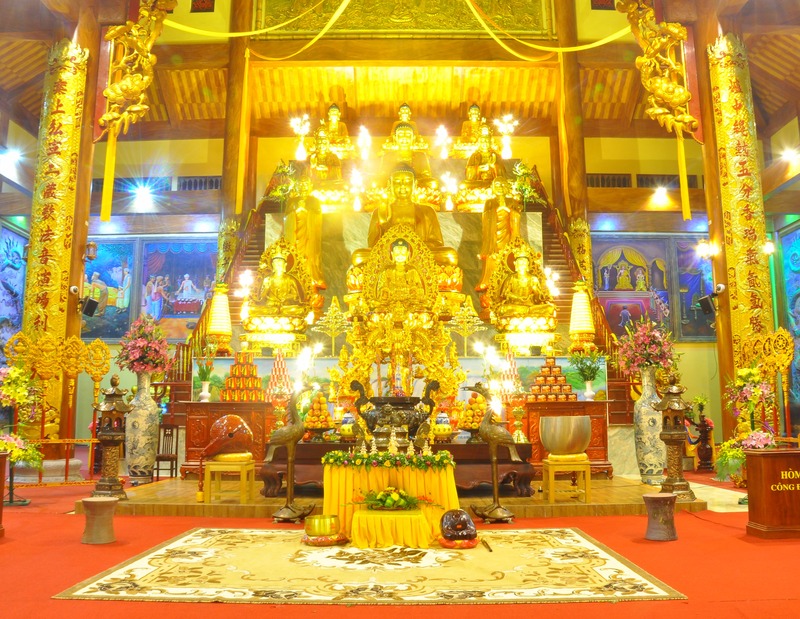 After years of renovation, the temple and its festival have become extremely well-known nowadays, attracting visitors from many other regions of the country.